Employees, students and visitors are allowed to park in the garage located on 500 NE Second Ave. 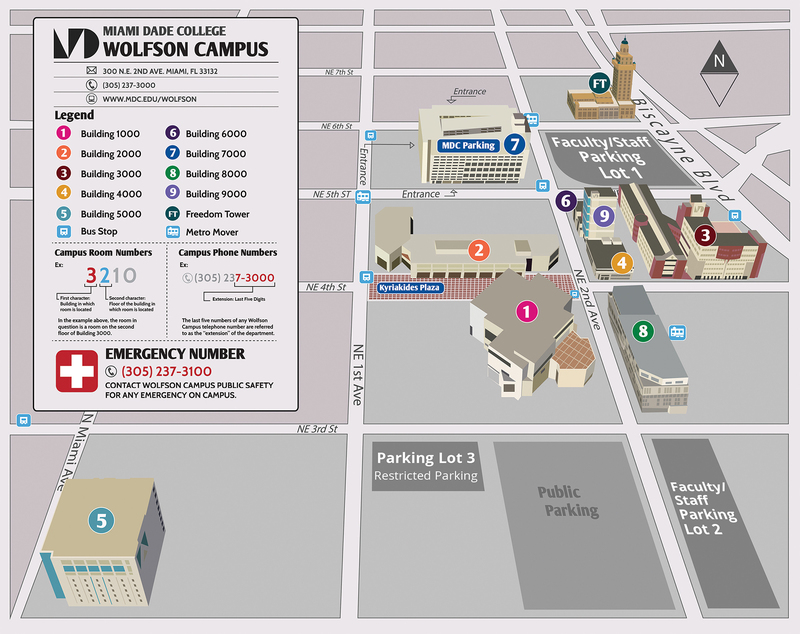 Parking Garage Monday – Friday: 6 a.m. – 11 p.m. Parking Lot 3 Monday – Friday: 6:30 a.m. – 11 p.m. Parking Lots 1 & 2 (This is the only parking for bicycles and motorcycles) Monday – Friday: 7 a.m. – 7 p.m.
All non-visitor vehicles must have a valid MDC parking decal prominently displayed on the rear bumper or rear window of the vehicle. Decals available free of charge.